1.School of Chemical and Biological Engineering, Qilu Institute of Technology,China. 2.College of Hydraulic & Environmental Engineering, China Three Gorges University, China. In recent years, the quality of urban atmospheric environment in China has caused widespread concern in the whole society. Improving air quality has become a major content of air pollution prevention and control in China. To do a good job in atmospheric prevention and control, we must investigate and analyze the sources of major atmospheric pollutants and their pollution characteristics firstly. With the acceleration of urbanization, the air pollution situation in Jinan city has become an environmental problem that people are particularly worried about. Based on the monitoring data of Jinan atmospheric environment, this paper analyzed the monthly average concentration values of PM2.5, PM10, NO2 and SO2 in Jinan City from 2015 to 2017. Meanwhile, the main reasons for the air pollution in Jinan City were clarified in detail. Finally, air pollution control strategies were proposed corresponding the aspects of pollution sources, topography and meteorological conditions, rational planning, environmental supervision capabilities, environmental awareness, and practical treatment technologies in Jinan City. These measures can provide a theoretical basis for relevant leading departments to build a beautiful city. Keywords: Air quality; Environmental protection; Prevention suggestions. 1. Xin Wang, Xiaoxia Yang and Huanbin Liu. Analysis of air quality characteristics in Jinan City[J]. Meteorological Science and Technology.2007, 35(6):804-808. 2. Yinchang Feng, Jianhui Wu, Tan Zhu, Zhipeng Bai, Huaizhong Yan and Xiaozhe Tan. Analysis of Sources of TSP and PM10 in Ambient Air of Jinan City[J]. Journal of Environmental Science. 2004, 17(2):1-5. 3. Qiang Xie, Xiaozhe Tan, Xiaogang Sun, Donghai Wang and Yuqing Teng. 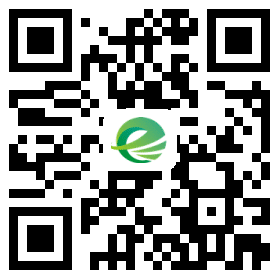 Causes and Control Policies of Environmental Air Pollution in Jinan City[J]. Shandong environment.1999, 4(92):20-22. 4. Jie Liu, Xiaoling Zhang, Xiaofeng Xu and Honghui Xu. Comparative analysis of sub-urban contrast of SO2, NOX, O3 and PM2.5 in Beijing area[J]. Environmental science.2008, 29(4):1060-1064. 5. Xinling Liu, Xiaoming Wang and Xiaoming Li. Characteristics of air pollution changes in five cities in central and western Shanxi from 2000 to 2004[J]. Environmental Science.2008, 8(12):3390-3395. 6. Hui Zhang and Junqing Han. Study on Characteristics and Prevention of Air Pollution in Coal Type Cities in Northern China——Taking Big Cities as an Example[J]. Sci-Tech Information Development & Economy. 2011, 25(21):169-171. 7. Zheng Jing. Effects of inhalable particulate matter in the atmosphere on human health [J]. Occupation and Health. 2016, 22(23): 2045-2047. 8. Zhu Gao and Xinbiao Li. Comparison of the health effects of atmospheric PM10 and PM2.5. [J]. China Health Engineering. 2006, 5(1):52-55. Yuquan Zhou. Variation characteristics of SO2, NO2 and O3 in winter in the northern suburbs of Nanjing[J]. Journal of Atmospheric Sciences. 2009, 32(5): 695-702. 10. Enlian Liu and Huaizhong Yan. 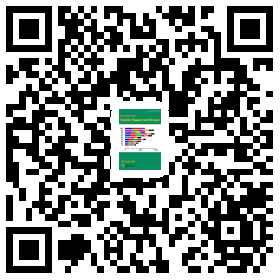 Sources and Prevention Countermeasures of Airborne Particles in Jinan City[J]. China Environmental Monitoring. 2005, 21(2): 84-87.